Main hall, Museum of History & Industry, Seattle, Wash.
SEATTLE — This spring Seattle’s Museum of History & Industry (MOHAI) presents “Seattle Style: Fashion/Function.” The exhibit features garments and accessories from the museum’s collection, influenced by popular culture and revealing captivating stories about the city’s sartorial spirit. 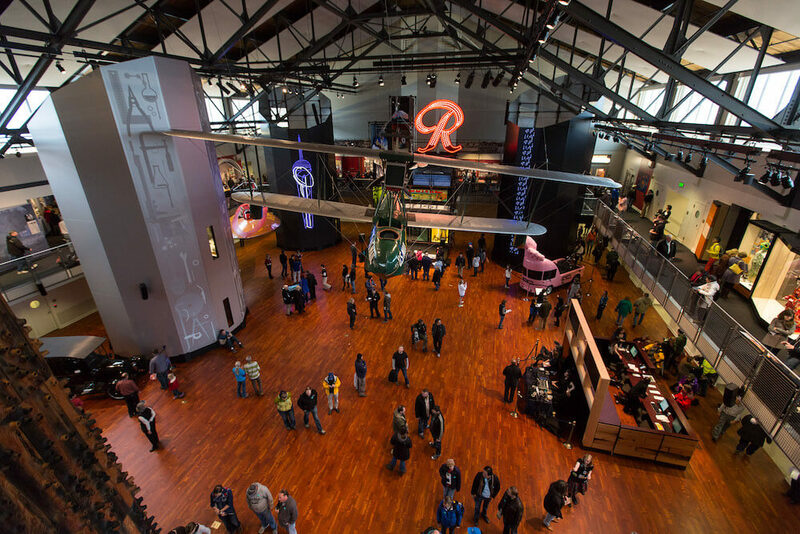 Presented by Nordstrom, this exhibit, on view at MOHAI May 4–Oct. 14, 2019, highlights how elegance and practicality co-existed and converged in Seattle wardrobes, providing new insights into local clothing, ranging from couture to grunge aesthetics to street fashion. Alone, few of these ingredients are unique to Seattle. But, woven together, a distinct local story emerges. No single style defines this region. Instead, when looking at the clothing made and worn in Seattle, enduring themes emerge: influences of the weather, ambition, a casual nature and a spirit of people forging a new path. 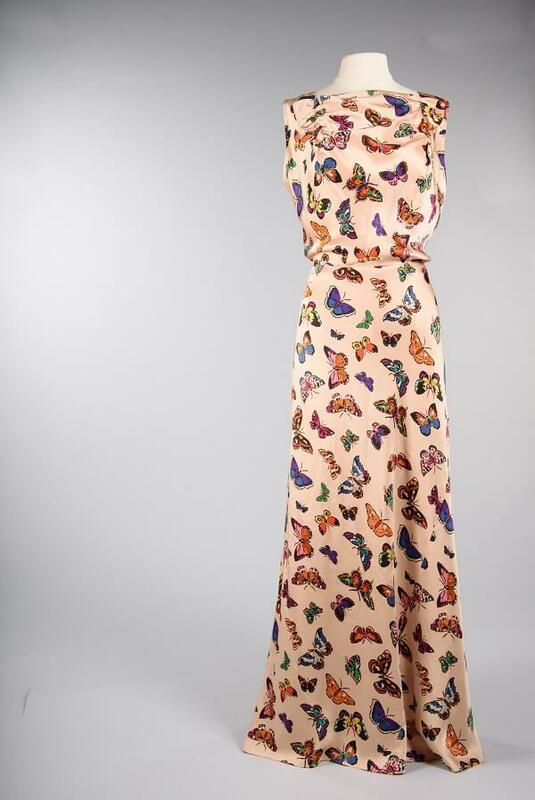 “I am delighted the Museum of History & Industry is presenting this stunning collection as we share a fascinating and influential period in Seattle fashion history.” said Leonard Garfield, MOHAI’s executive director. Curated by MOHAI’s Collections Specialist for Costumes and Textiles Clara Berg, “Seattle Style: Fashion/Function” explores the distinctive sensibility of Seattle fashion and its sense of beauty embodied in clothing. Bringing together rarely seen garments and accessories from the mid-1800s to today, the exhibit also includes three “Sewn in Seattle” videos and historical fashion show footage. “Seattle Style: Fashion/Function” is structured in a combination of thematic sections: Nature and Place; Growth and Aspiration; Northwest Casual; and Innovators and Rule Breakers. The first thematic section, Nature and Place, explores the influence of the natural surroundings. Dressing for the environment is a way of life in Seattle. Rain falls 150 days a year on average, and outdoor adventure always feels steps away. Water surrounds Seattle on the east and west. Snowcapped mountains are within sight of downtown, and green spaces can be found throughout the city. Here, people balance a city lifestyle with an outdoor one. Seattle’s clothing — items made or worn there — demonstrates the influence of the natural surroundings. From the hardiest of gear to an elegant evening coat, materials and designs show a combination of functional and stylish elements. Seattle’s passion for blending weather-tested pieces with visual impact continues with traditional materials, as well as new ones like waxed cotton, Gore-Tex and vinyl. Red Gore-Tex jacket, Seattle Style: Fashion/Function, Museum of History & Industry, Seattle, Wash. 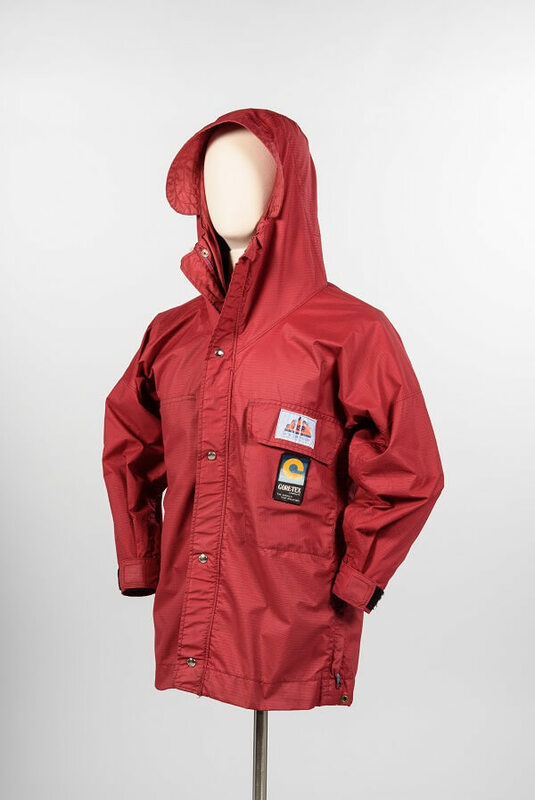 The Gore-Tex jacket manufactured by Seattle-based company Mountain Safety Research (MSR) was one of the first to use Gore-Tex for recreational wear. Originally worn strictly for outdoor adventures, expensive high-tech gear has found its way into daily city wear, becoming a Seattle status symbol. Seattle Woolen Company, which began with a focus on menswear and water-repellant garments to appeal to “woodsmen, cannery workers, and fishermen.” They soon expanded to include clothing for sport and recreation and began making more options for women. As it became increasingly acceptable for women to participate in sporting activities, local companies met the demand. In the 1940s, Seattle Woolen Company began advertising their line of “Terrain Tested Ski Clothing from Ski Country” for both men and women.